CFDs, or contracts for difference, provide the investor with unparalleled trading opportunities in today's volatile markets. CFDs are derivative products that allow you to trade on the price movements of securities and indices without ever owning the underlying asset. They offer a leveraged, flexible, cost-effective alternative to traditional trading methods. You can go long or short and hedge open positions in other tradable instruments, thereby enabling you to trade whatever the market conditions. - What a CFD is, how it is priced, and the range of different CFDs and markets available to trade. - The principles of CFDs and the mechanics of opening, funding and maintaining a CFD trading account, and the different types of account that are available. - The logistics of trading CFDs, including details of tradable markets, the range of underlying instruments and popular trading strategies. - The benefits and risks of trading CFDs, including leverage, shorting, hedging and tax. - A comparison between CFDs and other trading instruments such as spread betting, covered warrants, options and futures. - Controlling risk through the use of stop loss limits, trailing stops, guaranteed stops and limited liability orders. CFDs are an essential part of the smart investor's toolbox, and this book gives you everything you need to make the most of them. 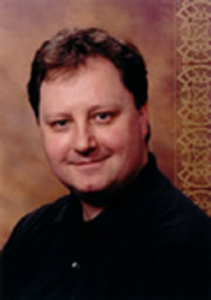 David Norman has been involved in trading and financial markets technology for over 20 years. He has traded and overseen corporate trading operations in a variety of stock and derivatives markets, provides consultancy, seminar and coursework in the field of market technology to exchanges, global trading houses and investment banks, and has taught graduate classes in market technology for three years in Chicago. He is the author of four books on trading and market technology, Trading at the Speed of Light (Paradym, 2001), Professional Electronic Trading (John Wiley & Sons, 2002) Trader DNA (Paradym, 2006) and The Virtual Trader (Paradym 2007). Formerly the Director of Market Technology at Illinois Institute of Technology, IIT he now works in London as a financial markets consultant for Office for Market Technology, Ltd.